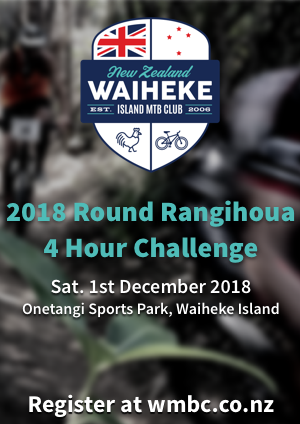 Waiheke Mountain Bike Club is pleased to announce the details for the 2014 Round Rangihoua Challenge. Click the event flyer to enlarge and read all the details. Waiheke Mountain Bike Club is pleased to announce the details for the 2013 Round Rangihoua Challenge. Click the event flyer to enlarge and read all the details.